Bonderized steel, also referred to as paint grip steel, is galvanized steel that has been put through a phosphate bath and a chromate dry. This process produces the dull grey color characteristic of paint grip galvanized steel which provides an excellent "primer" for painting applications. Bonderized material should be immediately painted after installation as the exposed phosphate coating is prone to white rust. In a continuous, controlled process, coils of galvanized steel are first thoroughly cleaned and rinsed. A conditioning agent is then applied to promote the formation of a fine crystalline zinc phosphate coating. This process then converts the bare galvanized surface to an inert, crystalline zinc phosphate which is subsequently rinsed and sealed with a dried-in-place chromate conversion coating. This entire process creates what is called a Bonderized surface. A long time favorite of the rainwater goods industry, zinc phosphate provides the perfect surface for field painting of flashing, gutters, downspouts, and other roofing materials, as well as signs and even enamel coated interior fixtures. 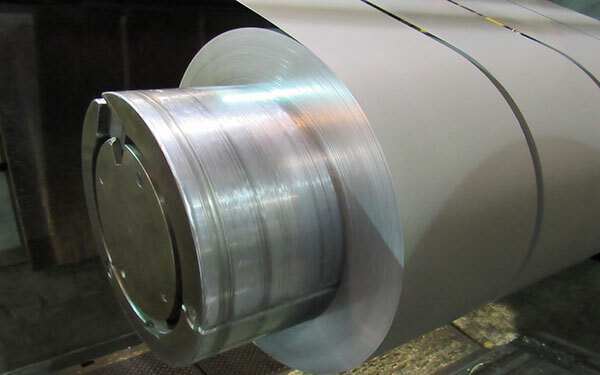 We also offer galvannealed steel, an alternative to bonderized steel, which is a carbon steel coated with zinc on both sides by the continuous hot-dip process. As one of the largest locally owned flat-rolled steel product distributors in Texas, we make it our top priority to provide high-quality bonderized steel for you at a competitive price. Give us a call at 1-800-749-4621 or contact us online and get a quote today!